Hmm I may start to get your point. TeaSpeak currently only calculates the group add power for the groups and if the client has the permission to add the group itself. But then the second question arises. Why in the second variant of behavior on the first two steps everything is fine and when done the third and fourth, the problem? hmm, weird. but now like not can reproduce. @WolverinDEV, God, how does it work? 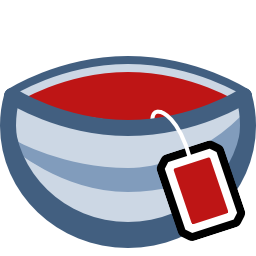 1) Are you using TeaClient or TeaSpeak web? 2) Is there any error within the server log? Ahh well there is one issue, that sometimes the errors aren't handled right (Specially permission errors). @WolverinDEV I hope to be happy. @WolverinDEV the new whisper tests were better, I was happy with the results. Server - New whisper test! Announcements In this area of the TeaSpeak forums you will find all important informations and changes. Announcements from the TeaSpeak Team for the attention of all users. Information Be part of the TeaParty! Informations about general but less important topics.